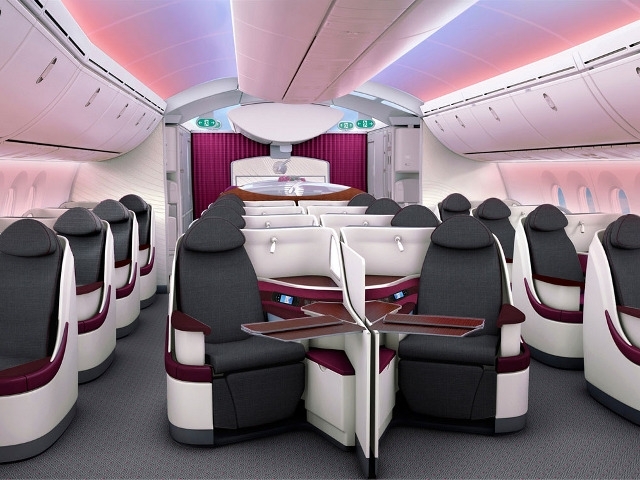 Qatar Airways £1,000 business class Asia flights! Qatar Airways has launched another one-week-only promotion on economy and business class seats from London. Some of the fares are not bad, such as Dubai from £345. Business class fares start around £1730 and you can get as far as Bangkok for that price. You can see full details here. You need to book by June 21st and fly before March 16th 2016. The real action, though, is taking place elsewhere in Europe. As with previous sales, Qatar is discounting very heavily indeed from selected cities in Europe. It can’t be easy, to be honest, to fill TWO Boeing 787 aircraft from Copenhagen every day in Business Class. With prices like these, it is tempting to cancel any outstanding Avios redemptions and rebook for cash on Qatar. You won’t be paying much more than £500 above the Avios taxes and charges figure – use your Avios points to redeem for a hotel when you get there instead! Many more destinations are available. There is a €1,205 business class fare from Brussels to Dubai for example, as well as fares from Sofia to some Chinese destinations for €1,500. Don’t just look at the headline price. It is also important to get the right aircraft. You want to be booking onto a Boeing 787 featuring the latest impressive 1-2-1 business class seating which I reviewed here. The A380 and A350 aircraft have the same seating. The Boeing 777 seating I reviewed here is fully lie flat but is in a more traditional configuration. The A330 and A340 aircraft have sloping business class seats so are not the best first choice. Remember that these fares earn Avios and BA tier points. Most of the Asian routes will generate 560 tier points return (140 x 4)! Don’t forget that you need to book via the Qatar Airways website here to get these fares. As with the UK deals, all of the above fares must be booked by June 21st for travel by March 16th 2016. Thank to Polly for the tip-off. PS. The amazing £750 return Business Class tickets to Bangkok are still bookable! This is a Turkish Airlines service from Stockholm. You must book at the Turkish website by June 21st for travel until December 15th. Full details are in this article. Turkish is a Star Alliance member so you will be earning miles in a Star Alliance programme such as Miles & More. The airline is very well regarded these days and aims to be on a par with the Middle East ‘big three’. @ Polly, CV and Alan. Thanks for feedback on bus. If any off you do taje bus north or south between Bangkok and KL, I recommend a stopover in Hat Yai, it’s a great little city, vibrant downtown and a city park on the ‘mountain’ with an awsome restaurant overlooking the city. The beach in Songkhla 30 minutes away is imme se and white, and few tourists in sight.From Hat Yai the bus to Krabi and one from there to Phuket is very scenic. It is a scenic drive up the centre to Bangkok too , especially between Hat Yai and Nakhoen but bus on this route run overnight. Thanks have made a note. We have thought about taking the train or bus for a change sometime from BKK to Kl to HKT or SIN at some point in the future, but the bus during the day is amazing. We still recommend the bus trip from BKK up north. It was truly amazing. Only locals with us, and we ate at the roadside cafés when they did, and didn’t get ill at all. In that case if you want to keep bus daytime Bangkok-Hua Hin-Phuket-Krabi-Hat Yai-KL-Singapore or vice versa is way to go with stops in each place as all sectors can then be daytime. My partner has a car so usually we drive or take plane if in hurry but sometimes we enjoy the bus. I can only recall getting sick with food once in a decade here but it was very unpleasant The whale watching place I mentioned earlier is a small fishing toen called Stevenston just south of Vancouver. Thanks again…Really good local info ! Booked DUB-LHR-DOH-HKG and HKG-DOH-CDG-DUB for £1950 in Business earlier this evening. I notice that the sale deadline has since passed but that fare is still available….still I didn’t want to take any chances..
DOH-HKG out and back is code shared on Cathay Pacific, A330 with lie flat, and the QR flights LHR-DOH, DOH-CDG are both A380. With the 560 TP’s, approx 21k avois (18k for the travel, 3k from my BA AMEX) I’m considering it a good deal all things considered, sale or no sale!